The Coleco Chameleon has a history so packed with twists and turns we imagine it would make for a pretty good movie. The venture started life as the Retro VGS, a system which would play games on good, old-fashioned carts and emulate the performance of multiple retro systems. When the crowdfunding drive for this failed, the team behind the project - led by Mike Kennedy - joined forces with the resurrected Coleco and rebranded the system the Chameleon - but that wasn't the end of the saga. After the console was shown at the New York Toy Fair it was alleged that the prototype was just a SNES Jr. in a Jaguar casing. A second prototype was photographed in order to disprove this, and this was in turn accused of being nothing more than a PC DVR capture card in a case. 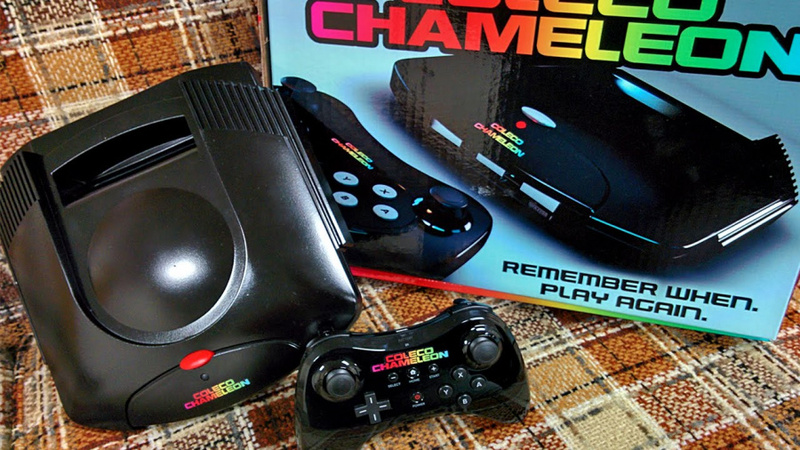 A crowdfunding campaign to generate funds for the Chameleon was put on hold and Coleco removed its name from the project - then it all went a bit quiet. Time for Kennedy's version of events. 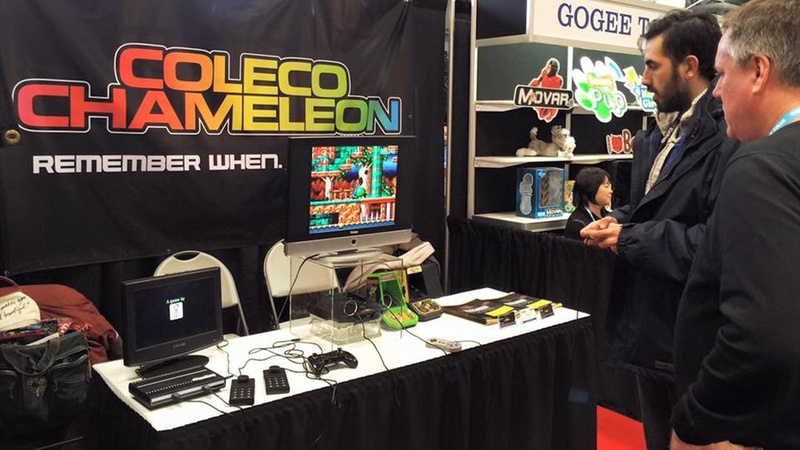 He's taken to the AtariAge forums to put across his side of the story, and insists that he had no idea that the two prototypes were fakes - he attributes this dishonesty to an individual named Sean "LEE" Robinson, whom he had never met personally prior to working on the Retro VGS / Chameleon. In mid-January, I had a lunch meeting with Sean and point blank asked him what he needs from me to spend the next 30 days working on the prototype full-time to get it prepared for the Toy Fair. We agreed on $4,000, which I quickly got to him via a check that he cashed with me at my bank. It was then a day before I was traveling to the show that he came over to my house with the Toy Fair "Prototype", with his instructions to NOT SHOW the back of the unit no matter what. But without any specific information as to why I shouldn't show it, other than it used an aftermarket connector that was composite-out and that was used because he didn't have the HD stable enough to get us through the show. I believed him and went to the show with that unit. My biggest concern at the time was getting this conglomeration through the TSA and on the plane. During the show we were accused of not having that system even plugged in so I made the decision to take a photo of the back of the unit showing it was clearly plugged in. If that was true about using the composite connector, I really felt people would understand why it was used and decided to show the pics. I didn't feel we had anything to hide. Then all hell broke loose and it was identified that SNES mini parts or the whole PCB from an SNES mini was inside the console shell. I was left in a terrible spot at this point and I had a decision to make that evening at the hotel. Do I take this thing apart and see what was in it and quit the show or continue on with the show, demoing the games that were going to be on the system, and then address this issue with Sean when we got back from New York. Right or wrong, I continued on with Toy Fair and it continued to impress people and the games were very favorably liked. When I returned back home, I met Sean again and gave him the "prototype" back and he was still swearing that despite the SNES "parts" he used, the games were still running on the SNES FPGA software that he had constructed in a few short months. Again, I believed him and we moved forward. And he told me that during the Toy Fair he was preparing the next "prototype" board so I gave him the clear shells with explicit instructions from me to show "our" PCB inside the shell. This was going to be used to show the "real" prototype. Then in a move to extract more money from me he indicated that for $3,000 paid now (2/29/16), and $3,000 paid in 60 days he could wrap this up and have a production ready prototype completed. So, again, I wrote him out a check he promptly cashed with me at my bank. Soon after this he emailed me the images of the clear unit with the PC DVR capture card in it. But, when he first emailed me the images, he indicated this was our prototype 100%. I made a comment that it looked great (in the photos) and he responded by saying something like "this is what we can do when given the proper time." Keep in mind, these pictures were to combat the criticism of the "fake" Toy Fair prototype and were given to me by him to post on Facebook to show people the real "prototype". Sean even joked about how people online were trying to identify the board in our shell, laughing and telling me they won't find it because it's our original work. He even made these comments through my car Blue Tooth speaker with my wife in the car and she heard everything. Again, I believed him. Since this all fell apart I have been trying to get Sean to explain to me why he would point blank lie to my face about that being "our board" and passing that two-bit PC board off as our prototype and he can't give me an explanation that makes any sense, in fact I get no explanation other than that there was more going on in there than people can see. He mentioned we had chips located underneath the board even and assured me that the cartridge was also plugged into our cartridge connector. Something was just not adding up to me and I continued to lose sleep at night wondering how this all could have happened. First, he never showed me anything in person, that he was working on. I never went to his house, nor was ever given an address where he lives or works. He subscribes to my magazine so I looked at the address the magazine is sent to – a UPS store PO Box. I have paid this guy $7,000 and have nothing to show for it. I want to apologize to all of you for the past few months. But there was never any intention to deceive or pull the wool over any of your eyes. These past few months with these fake prototypes was inexcusable and I hope you can all understand a bit more about how this all happened and why I have remained silent the past few weeks. It is not in my nature to trick people into anything. My end game has always been to give back to this hobby that I love and respect and to make and do things that people will enjoy. I've never taken one penny from anyone that wasn't genuinely earned! You will all be glad to hear that I am officially tabling the console venture for good. Again it was never the intention of myself or those legitimate guys on my team to deceive or potentially defraud anyone. In the end, I am the only one that has lost anything, money, potential opportunity and my reputation in this hobby. It's worth keeping in mind that this is simply Kennedy's take on the whole fiasco, and he's making some pretty serious claims here. Could he possibly have gone into business with someone he barely knew when everything rested on the prototype? Was he really duped by those fake systems? Some posters on the AtariAge forum don't seem convinced, but share your own take on this sorry situation by posting a comment below. So now he's giving us a sob story about how he got scammed by someone who prior to joining the project was just some random nobody? Gee, how believable. Let's just say he's telling the truth. If that were the case how the hell did things progress so far that it became a total arf up? Isn't he the creator/manager/whatever? If he's lying, then he's a lying con-man whose desperate to save face. If he's truly being honest, then he's incompetent, irresponsible, naive, and basically an idiot for leaving his baby with some random stranger. Now then, if he's tellng the truth, I hope he can get some bit of money back. At least from selling the Jaguar moulds. It wasn't me, you guys, it was this other guy, who totally exists, but you won't be able to find him so you probably shouldn't bother looking for him - definitely don't look as hard as you did at my prototypes! Is that a Wii U Pro controller with a sticker on it? yeah... I know some people that have dealt with this person on several occasions and I find it extremely hard to believe his sob story at this point. Hey Mike Kennedy! I'm a person you have never met before, but I can make a product that will bring eternal youth, unlimited clean energy and even prompt Nintendo to make a proper Metroid game. I can have a working prototype built for next week, all I need from you is ten grand. Deal? Hey @GammaPhonic, sounds great. I'll write you a cheque, we can go promptly to my bank and cash it. What a ridiculous story if true, who in their right mind would do so little research on a person they are paying thousands of dollars at a time to do a job. Completely agree [email protected], who would trust a random stranger to do this for them, let's just forget it even happened. I also agree with all the comments about how gullible you can be to just believe someone whom you've never even met in person and to send him thousands of dollars as well. That's beyond stupid. As a lead in any project, you simply DEMAND that people come and see you in person and show you how far things have progressed. And otherwise, there will be no checks in the mail. The only thing I might give someone is travel expenses. Other than that, physical, working proof before ANY money ever changes hands. Sad thing is that I would have actually considered buying this, or any Coleco-like system, since I like retro gaming. Next stop for him is Dragons Den and Shark Tank. I don't believe a word he says. You can tell in all the game show footage that he knows it's fake. This is simple. If his accounts of what happened is true, he needs to file a suit against Sean Lee Robinson for fraud. He makes it look like "Lee", scammed him out of money here. Its a shame this didnt get very far but I guess looking at whats happened it was never going to happen in the first place. It looked awful basically being a jaguar in disguise but I really liked the concept but ultimately it never would have caught on. If it had gone into production it would probably have ended up just another failure like the game gadget or ouya. Not sure I beleve this guys story but at least we know the project is over rather than it remaining a mystery! I would have had a clear shell version hooked up with the black one on show beside it. Its a shame you can't do anything these days based on a handshake. It seems you have to go through so much trouble with a lawyer first before you can make any leap of faith. Anybody see the Silvermania video making fun of this? If someone told me they could make a console that could play it's own games, plus emulate multiple others, in thirty days, AND, it would only cost me four grand, I'd say "What's the catch". The controller that was supposed to ship with the system was similar, but not the official Wii U Pro Controller. Also, great job Nintendo Life for giving credit to photos they stole from a YouTube channel. JOURNALISM! I was about to say... Thats the same thing from the Silvermania video I watched weeks ago. Shame, the basic idea was good—I've often thought about something like this myself—but it just wasn't executed properly in so many ways. So many little issues basically sealed the fate of this endeavor long ago. Mike Kennedy is not that stupid or gullible. He got himself in a bad situation and kept trying to buy his way out of it the cheapest way possible. For him not to open up that console himself and continue with the toy fair (even with all the evidence showing it was a SNES Mini, including the AV/Power cords, cartridge slot, AND the "hardwired" SNES controllers to the unit) is the most asinine thing I've ever heard. If I was in charge of something like this, I would oversee every piece of the project, and for him to just believe some schmo hardware developer for the product itself is complete nonsense. He continues to lie about this, and everything he says should be taken with a grain of salt. @VR32F1END @SuperPodcastBros We always credit images when credit can be found - I discovered the image online and no credit was given. I've now updated the image with a credit link. Oh that tagline is so sad. It basically means he realized that, for everyone else, nothing at all was lost. That his project was nothing more than a concept he could never materialize, and in the end it's like a tree falling with no one near to see it. Although I'm sure other people also lost their time and/or money beacuse of this. So, it's probably wrong. ...Except for about $7000. Why the hell isn't Mike fuming over that? He's threatened so many lawsuits before, yet it sounds like he might actually have a case here. It's almost like this Sean guy doesn't actually exist... whoops! Nothing but fraud, taking people's money, and not doing what was supposed to be done with it. Complete joke, these people should be prosecuted. Mighty No 9 is heading that way too. "Kennedy clearly feels he has been duped, and reveals that he has repeatedly tried to get to the bottom of the prototype situation." s/b "Kennedy is clearly lying through his teeth, and pretends that he has repeatedly tried to get to the bottom of the prototype situation." Oh man I forgot about those lawsuits. Yeah he's definitely lying here. The guy is very sketchy and should not be trusted without some item of definitive proof. @OorWullie Sure looks like it don't it. @HeresyHammer Excellent video summarizing this whole fiasco. This is a big disappointment. I don't know who he thinks he is fooling. Who throws around that much money and doesn't check, double check, and triple check the person doing the work and the final product? I really want to believe him, but his story is just too ridiculous. As has been said, he's either an idiot or incompetent. Methinks this story isn't over yet. Grab some popcorn and check out the AtariAge forum link to watch Kennedy further dig himself into a hole. Also, while the identity of this Sean may actually exist, it's still unconfirmed at the time if the two have ever met, much less actually have worked on this damn prototype. To be fair, they did an awesome job on that fake. Lol! @OorWullie thats what i thought too... definitely. I assume Nintendolife paid Silvermania to take picture of his box and fake system for this article.